Vous êtes ici : Accueil ∼ The arts and culture: a financial burden or a way out of the crisis? With the financial crisis, followed by the economic and social crisis which spread from the United States to Europe, the trend towards less and less public spending being allocated to culture has accelerated. At the same time, however, public officials affirm that the arts, culture and, more broadly, the creative industries, constitute one of the most reliable means available to contemporary developed societies to overcome the crisis. How can such a paradox be understood? Are public authorities schizophrenic? Is there a contradiction in the definition and the implementation of public policies? Conversely, can one hypothesize that public action has a logical underpinning? What would be its basis? The answer may be identified on two levels. On the one hand, there is an increasing instrumentalisation of artistic and cultural activities, which are used for ends which are at least partly foreign to them (in particular, to economic and diplomatic ends). On the other hand, a reorientation of public policies concerning the creative and cultural industries is occurring. It would seem that it is in this sense that the engagement of a growing number of CEOs and leaders in favor of the cultural industries may be understood. This policy choice, even if it appears to offer certain strategic opportunities to the artistic and cultural sector, seems nevertheless to involve serious risks for cultural creation, artistic experimentation and “scientific” activities undertaken by museums. Furthermore, it risks accentuating the trend of concentrating public and private funds on the most prominent museums and historical sites, thereby threatening to accentuate the implementation of a two-tier system in France, as well as in the UK. 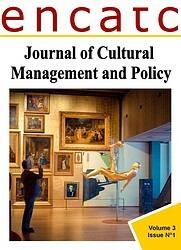 Voici le résumé de l’article The arts and culture: a financial burden or a way out of the crisis?, dont la suite est à lire à l’adresse suivante (Journal of Cultural Management and Policy, vol. 3, n° 1, 2014). Dans l’attente de vos réactions !